Meet our first child, Benson Mushi. 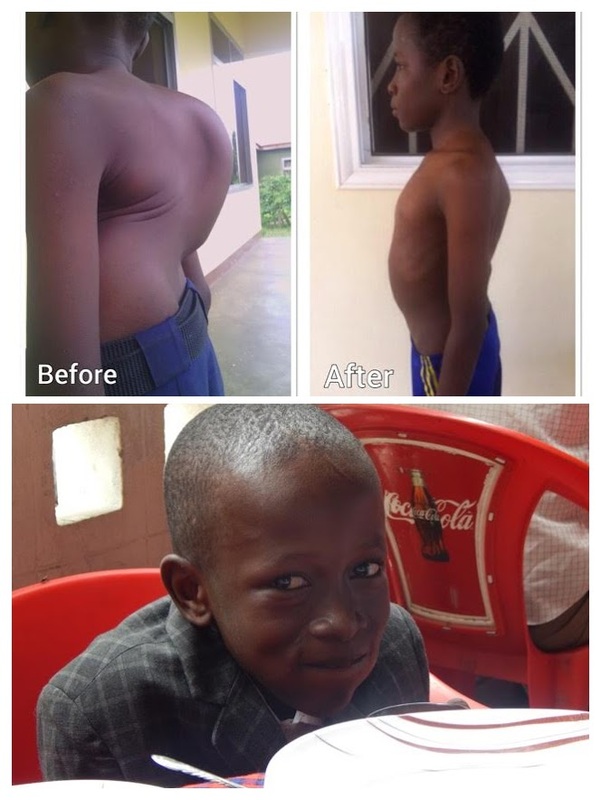 When we met 12-year-old Benson, he had started having back pain 6 years ago, and was almost paralyzed. He couldn’t walk, couldn’t sleep, and you couldn’t give him a hug because he was in so much pain. He was kicked out of school and asked not to return, "until his back is better". He had visited every hospital in his region and no one could provide a diagnosis, much less do his complicated spinal surgery. That's where Stand Tall came in. Masha connected Benson with Dr. Ohenebe Boachie-Adjei, a surgeon from New York City's Hospital of Special Surgery and founder of FOCOS Hospital in Accra, Ghana. 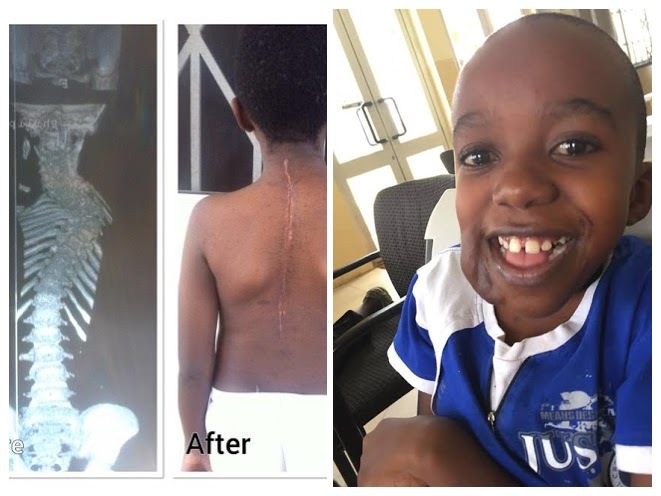 Dr. Boachie generously donated Benson's spinal surgery and successfully placed 8 metal implants in Benson's spine that enable him to walk, play, return to school, and live the life of a healthy little boy. We met Samweli attending the nursery school at Jipe Moyo. Our first "non-medical case," Samweli is being raised by a wonderful loving mother, who supports her family on just a few dollars a day. Paying for good schooling was not something that she could afford. As a result of his sponsorship, Samweli now attends an English speaking school. He is getting excellent grades and loves riding the bus to school everyday. Upendo is an HIV positive teenager, who was ashamed to go to her local clinic for treatment because she was afraid someone at school would find out that she was HIV positive. Her lack of treatment resulted in a large and painful facial tumor that made her too embarrassed to leave the house. Stand Tall connected Upendo with a visiting volunteer doctor who treated her tumor and also started her on medication for HIV treatment. Today, she is a normal, healthy girl who loves to smile and is living a vibrant life in her village. 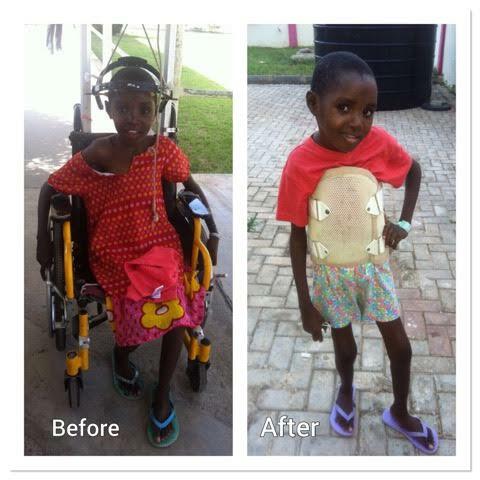 Nalari (10 years old) was born with her spinal problem and had complications walking and crawling even as an infant. She had severe breathing problems and couldn’t walk more than a few feet without getting out of breath. Doing normal kid things were completely out of the question. One of our special patients, Nalari had faced many challenges far beyond her back. Her learning disability made it difficult to continually get her a quality education. And she was living in some of the worst housing we came across. After successful surgery, and some added personal care, Nalari is living her best life. She is in a loving home with other children she adores and is back in school full time. 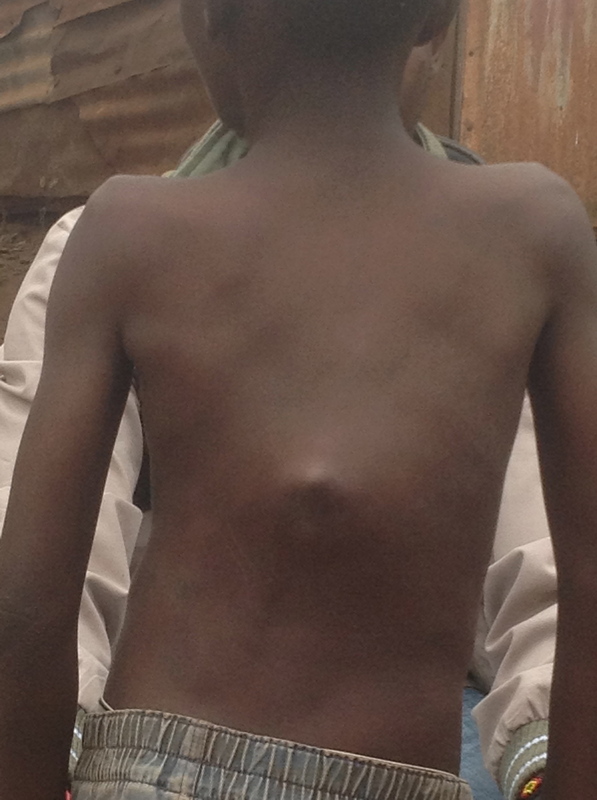 David (12 years old) saw a doctor 2 years ago because his family noticed a problem with his back. After an unsuccessful surgery, the hospital told his family to look outside of the country because they could not help him. His case was extremely severe and without surgery he would have become paralyzed. "The Quiet One" David has found new life after surgery. He is so happy to be able to go back to school, and his family is glad to have that smile back! 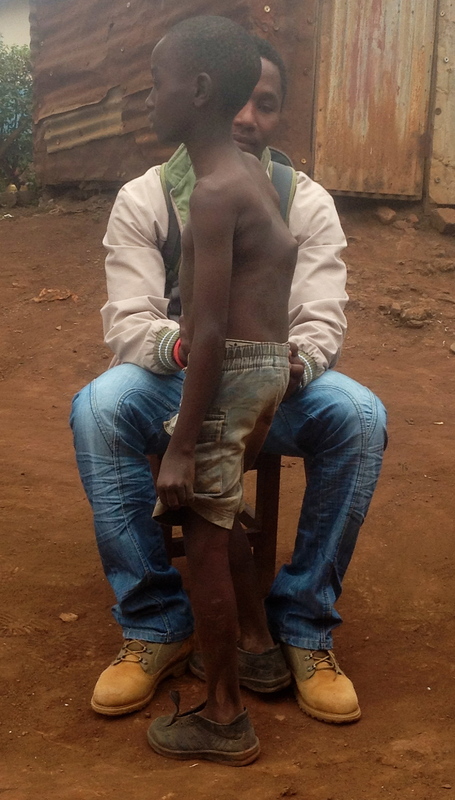 Andrew’s (13 years old) mother first saw his condition at 3 yrs old, and took him to a doctor who gave him medication. When he didn’t improve, the doctor sent him home saying there was nothing more to do. Today, he is back in school and thriving. He can walk more than a short distance now and with continued financial help, will be moving into 7th grade next year.